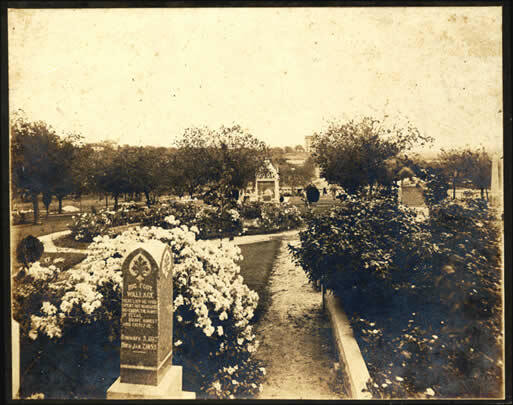 Located in east Austin, bounded by Navasota, 8th and Comal streets, the State Cemetery is the final resting-place of many of Texas great heroes. Stephen F. Austin, Albert Sidney Johnston and Big Foot Wallace are but a few of those memorialized at the site. When General Edward Burleson--once Vice President of Texas and Commander of the State's armies in the Mexican War--died in 1851, he was buried at the 17.3-acre site. 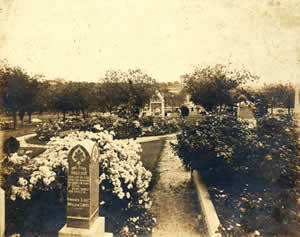 In 1854 the gravesite was purchased from Andrew Johnson Hamilton by the State for use as a State Cemetery. Purchased in 1941 from a private cemetery association, Austin Memorial Park located at Bull Creek Road and Hancock Drive is one of five city-owned cemeteries covering some 186 acres of land. 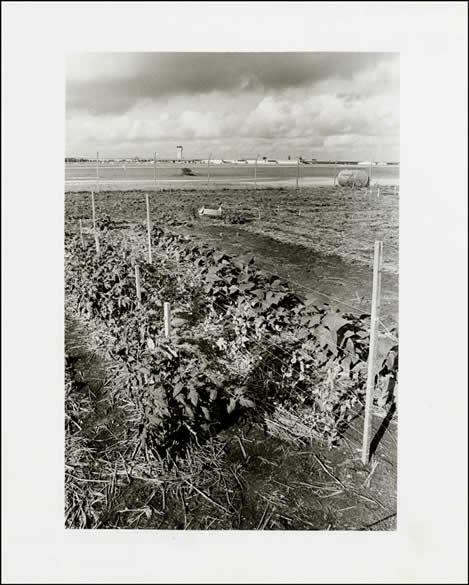 The 40-acre tract contains over six miles of water line in a sprinkler system created by the Water and Wastewater Department and implemented in the early 1970s. 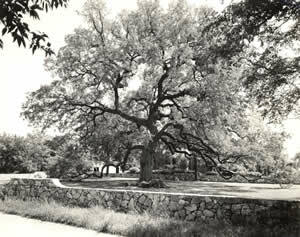 Treaty Oak derives its name from the legends that many a pact was signed beneath its branches. One Tejas Indian legend holds that the brew created by mixing the acorns of the oak with wild honey when sipped by an Indian maiden would cause the return of a straying lover. Judged the most perfect specimen of a tree in North America, this grand oak is listed in the "Trees' Who's Who" and its picture hangs in the Hall of Fame of Forestry in Washington. In 1989, the tree suffered from a deliberate poisoning by Paul Stedman Cullen. With enormous outpourings of support, both emotional and financial, the tree was treated and saved. About 35% of Treaty Oak remains today. The first crop of acorns since the poisoning dropped from the tree in 1997. These acorns were collected and germinated, and in 1999 were planted around the state and elsewhere, ensuring Treaty Oak's continuing legacy. A plaque detailing the unique history of the tree and a low flagstone wall were added by the city. Maintenance of the Treaty Oak falls on the shoulders of the city's Parks and Recreation Department who feed it a diet of bonemeal and copper to keep its leaves green and remove the acid from the soil. 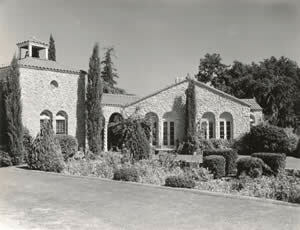 They also water it weekly, spray for insects and prune as needed--every 5 years or so. 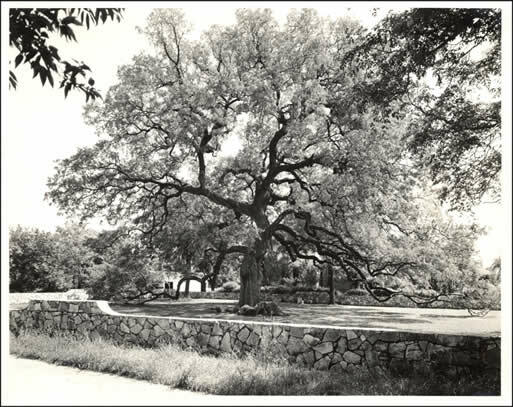 Over 600 years old with a spread at one time of 127 feet, the Treaty Oak stands in majestic beauty on its site near the west bank of the Colorado River in the 500 block of Baylor street. 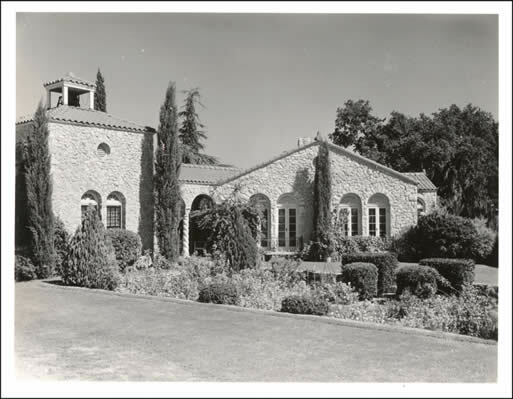 It once graced the front of the Caldwell home until the city of Austin purchased the one-third acre lot in 1937 for $11,000. 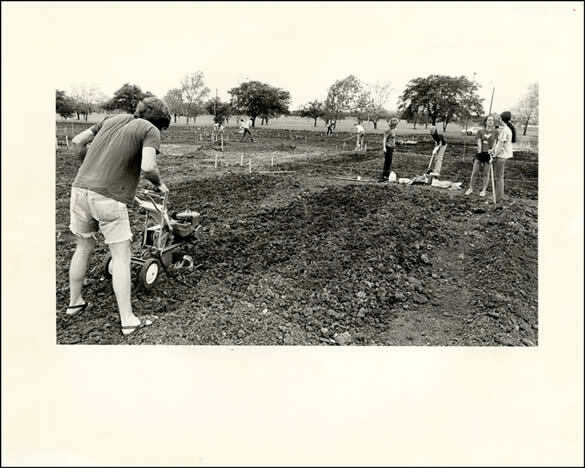 The Austin Community Gardens is a non-profit organization originally founded in 1975 by the University YWCA. 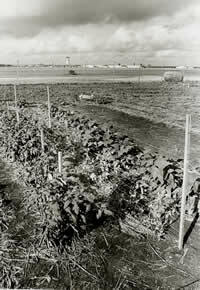 The project began as a four-acre pilot project with about 15 garden plots on East 51st Street. The enthusiasm for the Austin Community Gardens quickly spread and more land and funds were donated by the City of Austin for additional sites with water equipment and staff donated by Travis County. Austin Community Gardens recently merged with the Sustainable Food Center to assist people to achieve food security by teaching them how to grow, cook and market foods grown in a sustainable and environmentally friendly way. The Sustainable Food Center/Austin Community Gardens' programs and services target low-income, health-at-risk individuals and families and annually impact more than 7,000 children and adults. Vegetables grow in this plot at the Austin Community Gardens. 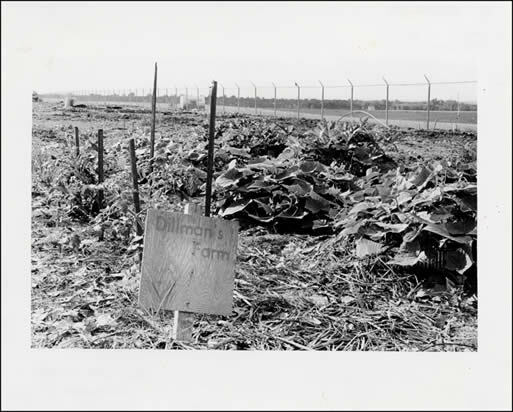 The former Mueller Municipal Airport can be seen in the distance. 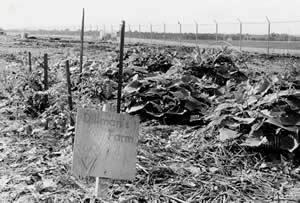 An enthusiastic gardener dubbed their section of the Austin Community Gardens "Dillman's Farm". 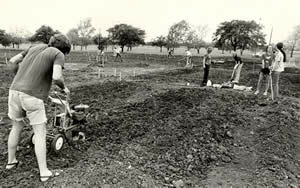 Working with mechanized tillers and standard hoes, these gardeners prepare the soil for planting.